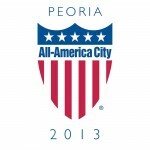 The Peoria Area Chamber of Commerce’s Board of Directors approved a comprehensive 3-year strategic plan in summer 2018. The plan is designed to provide a roadmap for the Chamber’s ultimate goals of becoming the leading voice for business in the region through political advocacy, being inclusive and diverse in our approach to work, advocating the improvement of the region’s quality of place, and being a source for strong leadership development. 1) Succeed - Deliver membership programs andopportunities to support business success. 2) Advocate - Represent the interests of business in the region. 3) Lead - Develop leaders to serve the Chamber and the region. 4) Strengthen - Improve the region by supporting business prosperity. 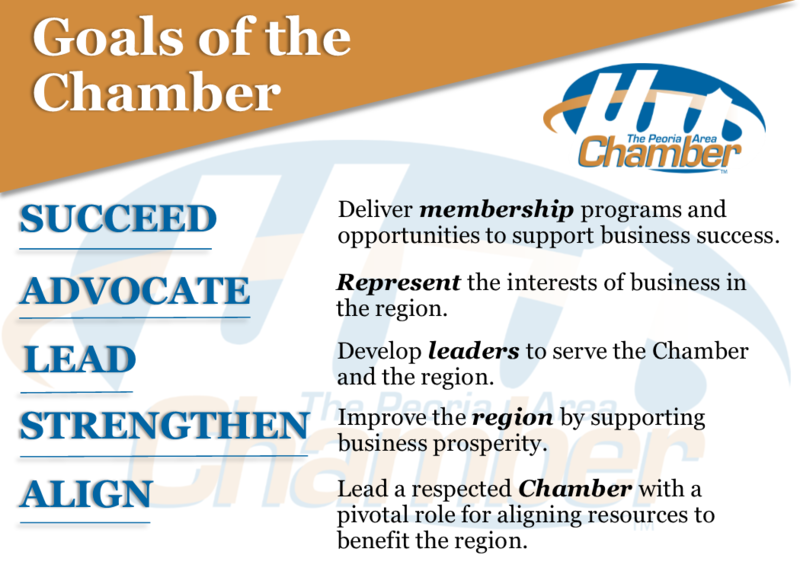 5) Align - Lead a respected Chamber with a pivotal role for aligning resources to benefit the region. To view the strategic plan marketing materials, click here. To view the organizational chart, click here.